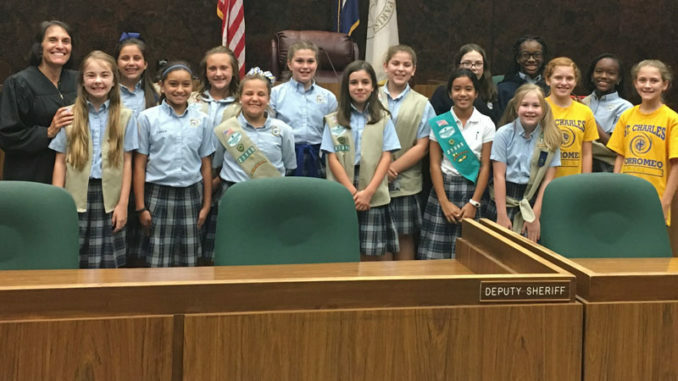 Girl Scouts recently met with Judge Lauren Lemmon at the St. Charles Parish Courthouse in Hahnville. Lemmon spoke with them about her role in our government helping them to earn their “Inside Government” and “Finding Common Ground” badges. 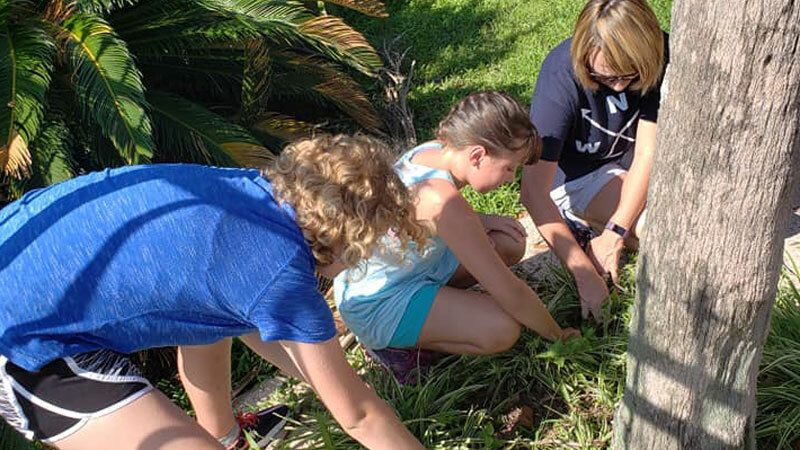 Six Girl Scouts met for a community clean up at a the St. Rose clubhouse (Fairfield Plantation Oaks) that has allowed them to use their facility at no charge several times in their Girl Scout adventures. They swept the floors, cleaned windows, baseboards and bathrooms, weeded the garden, swept the outside pool area and front porch. After their service cleaning activity, 10 girls in the troop were able to participate in a self-defense meeting with two officers from the St. Charles Parish Police Dept. The meeting was very hands on and the girls felt powerful. They asked great questions as they learned the importance of situational awareness and how to stay safe as they move towards a more independent point in their lives. Afterwards, they said that it was fun and was one of their favorite meetings. Six Girl Scouts formed a planning committee to prepare the troop’s bridging ceremony in August. They met to discuss details (decorations, food, ceremony elements, SWAPS, location, etc.) The girls based their decisions on their planned budget, didn’t overspend and set up the ceremony without a hitch. It was a wonderful day with their families there to celebrate. All 18 girls bridged and one Ambassador was re-dedicated. The ladies of Girl Scout Troop 21398 were busy in the month of August. 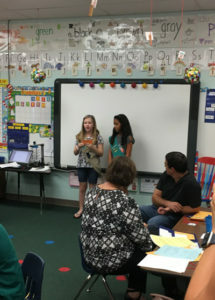 They recruited new Daisy leaders at St. Charles Borromeo school by speaking to parents at Back to School night.